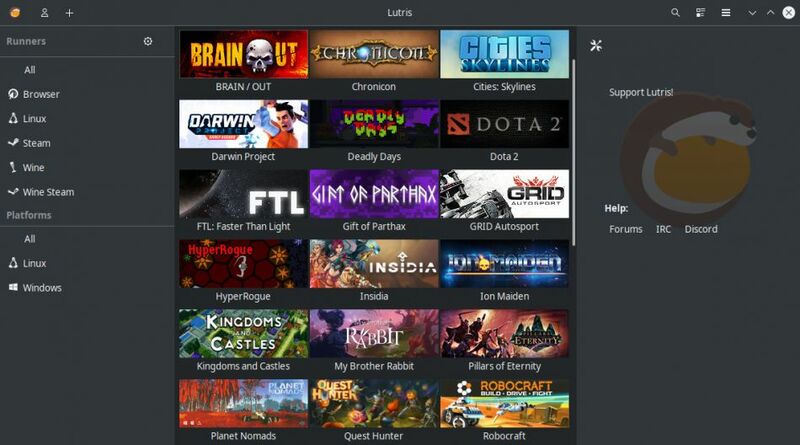 Giving you the ability to install and manage games from Steam, GOG, Humble Store, Emulators and more it's a pretty handy application to keep around. This latest release is mostly improving on existing features like downloading the default Wine version when not already available, preventing duplicated entries when importing games from a 3rd party, one search bar to rule them all, improved log handling performance, using your discrete GPU by default on compatible systems and more. It also had another quick release 0.5.1.1 soon after to "add detection of custom proton builds in compatibilitytools.d folder" which is documented here, along with some bug fixes and adding of needed dependencies. Update: v0.5.1.2 was also pushed out, to fix some issues with "custom Proton detection preventing Wine games from running". Find more on the official site or the GitHub. You can also support the development on their Patreon. Have you been using Lutris, what are your thoughts? Do let us know in the comments. For me, it's been really great and has certainly saved me a lot of time. Arnvidr I have not figured out how GOG is integrated at all. Do I still have to go to the webpage to install anything? I installed GOG Galaxy, but that didn't seem to really work, so maybe that's just a lost cause. From reading about 0.5 before I got it, I thought I would point lutris to my GOG library somehow, so I could install anything there through the client, but I guess that's not it. "+" Sign in the title bar > Import Games -> GOG Icon > Sign In > WAIT (It's hitting gog to build the game list, silently) > Check which games to import in the same window, this does NOT install them, it makes them available to install. > Import them. Now, pick a game in the main window and select to install it. If a GOG installer script is available, a install from GOG option will appear in the install window. If it doesn't, then no gog installer is available and you'll have to do the needful manually. ^ I think, someone correct me if I'm wrong. Update: v0.5.1.2 was also pushed out, to fix some issues with "custom Proton detection preventing Wine games from running". I use it to mostly play Blizzard games through wine and it works well. The installers for games work but need improvement. I've tried to update the scripts myself but I've found them not intuitive. This is concerning considering I've been coding for 25 years. The interface is also not intuitive and it took me a while to figure out how to get anything working. With that said, I still gladly contribute to Lutris monthly. It is so much easier to get a game installed and working than if you tried to get it working on your own. Wait, it can activate my discrete GPU? Ooo, I need to try launching KotoR on the laptop this way! EDIT: Well, I didn't do much of a real test, but KotoR *felt* smoother and a tad prettier. Also, my laptop fans were not as loud. Yay! I couldn't figure out how to run Neverwinter Nights on Lutris . I just don't get the options and the whole interface although it supposes to be a whole lot better than before. It's still unfriendly to me. In the end, I tend to avoid GOD games if they have no Linux support because I just don't know how to play them. On Steam it's easy and no brainer. I don't have time or patience to figure it out so Steam with Proton is the king. You are talking about the old or remake NWN version? GOG version?